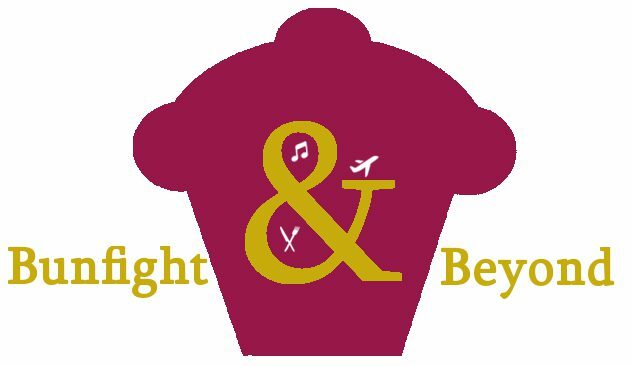 Now the moral of this story is – sometimes you have to delve in your freezer, fridge and store cupboard when looking for culinary inspiration. I had an idea of making some frozen cod I bought about 8 weeks ago into a sort of spicy tomato thing, but I never got round to defrosting the fish, let alone making up a recipe. I couldn’t think of how to make it taste lovely and not at all boring. Cod can taste very boring in my opinion, when not cooked right. On Monday at that awkward time mid way between having just been to the supermarket and going again, I decided to wing it and throw things I think work well together into my pan. It’s a great recipe for those who don’t really like fish; but really want to start liking or want to vary what kind of lean protein they consume. It’s also good for those cooking for somebody they’re trying to convince to like fish. Its got a lovely familiar spicy tomatoey flavour and the fishy taste isn’t too strong. If you DO like fish you could always add some prawns or even use something like salmon or mackerel or a mixture of different types of fish. Slice the onion, crush the garlic and cut the courgette into thin disks. 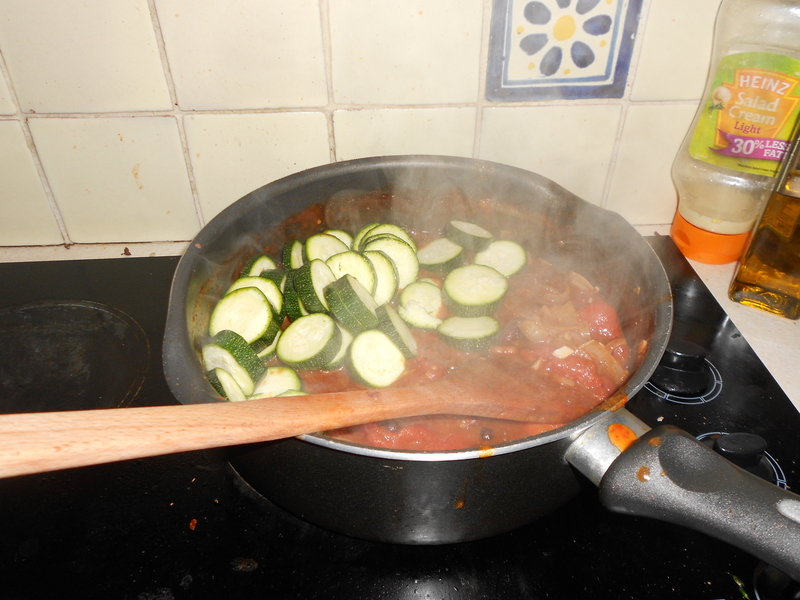 Put the courgette to one side. 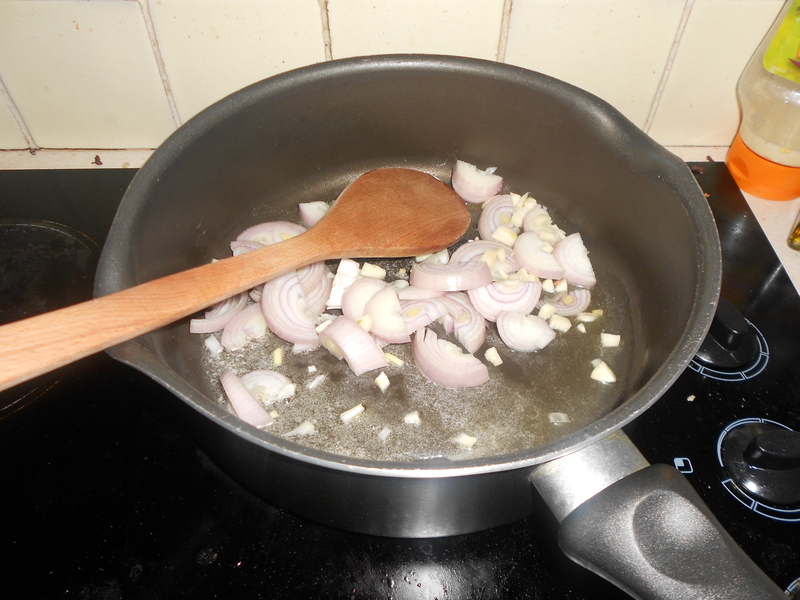 Heat the oil and butter into your pan and add your garlic and onions and fry until soft. 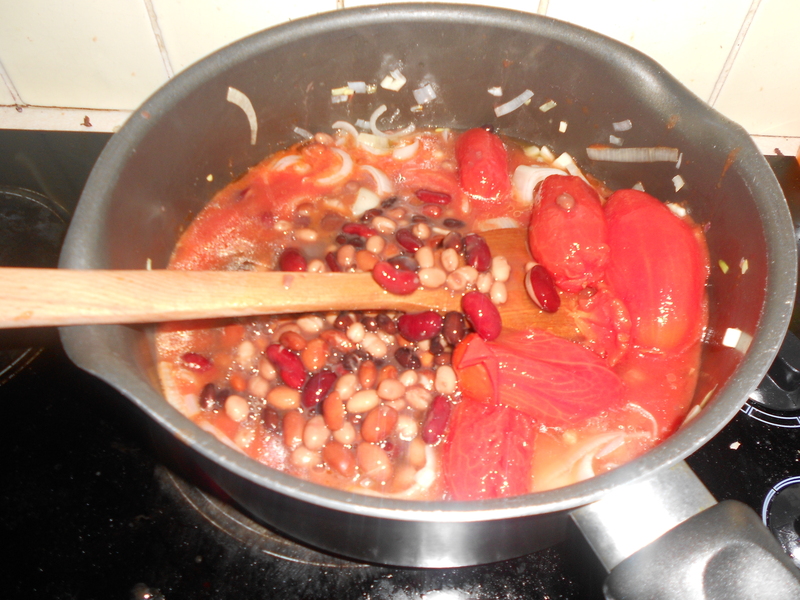 Add the tomatoes and the mixed beans including the water from the can. This will help thicken the sauce. Smoosh the tomato up and cook for a couple of minutes and add the seasoning. 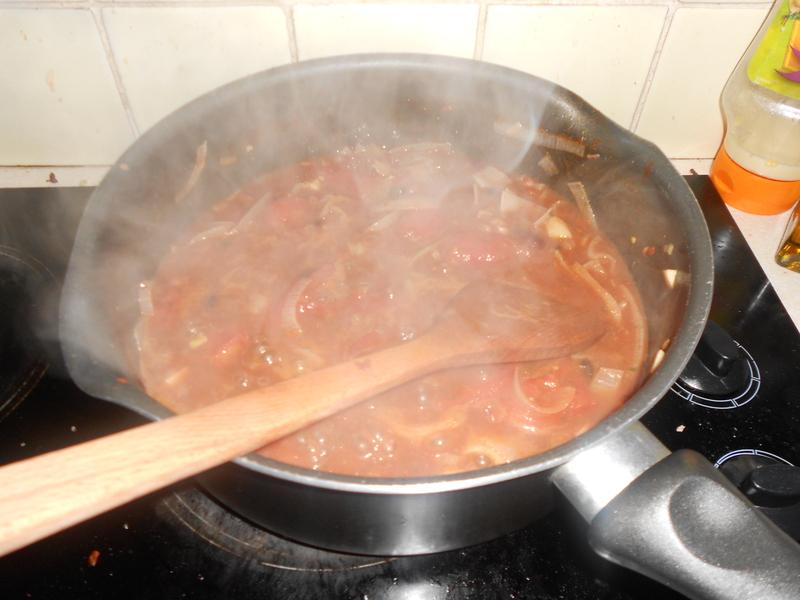 Allow the mixture to simmer for 10-15 minutes. 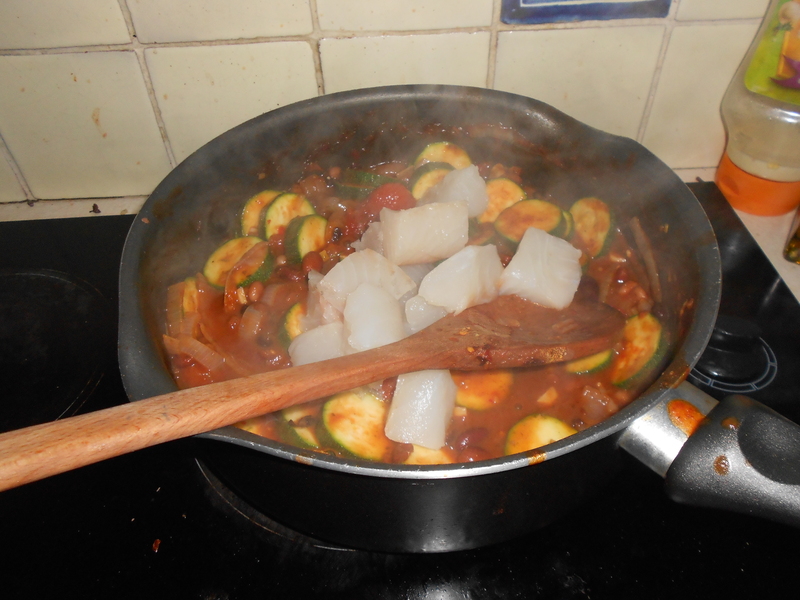 Add the courgette and cook for a few minutes. Use this time to cut up your fish. Courgette or zucchini? Only you can decide. 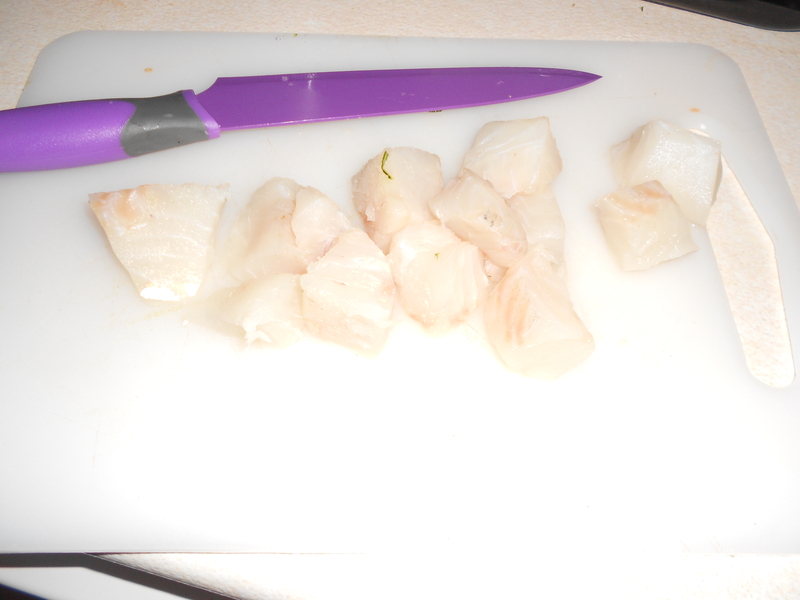 Add the cod and cook for about 5 minutes, until the fish becomes opaque and starts to flake. Once it looks cooked immediately take off the heat to prevent the fish becoming dry and stringy. I’m sure, somewhere, Captain Birdseye is giving me a nod of approval. 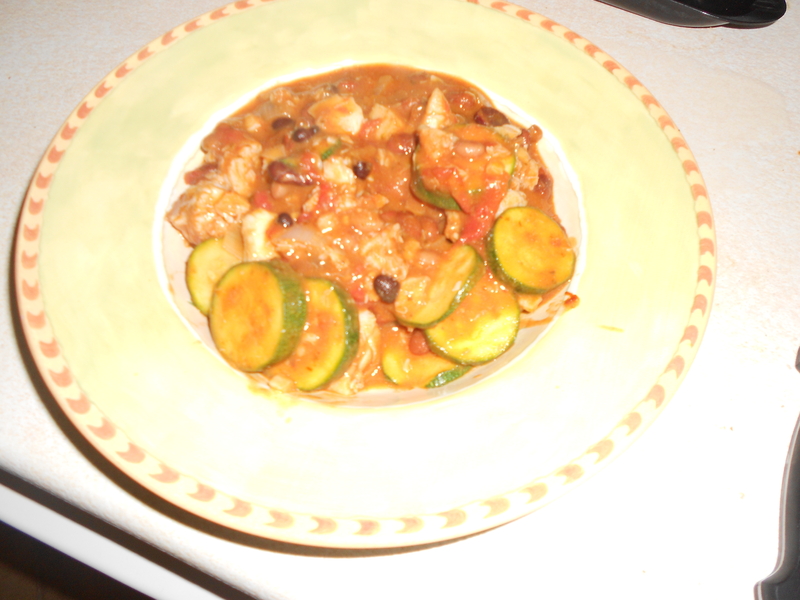 This dish is fantastic with boiled new potatoes, but would work well with rice or bread. 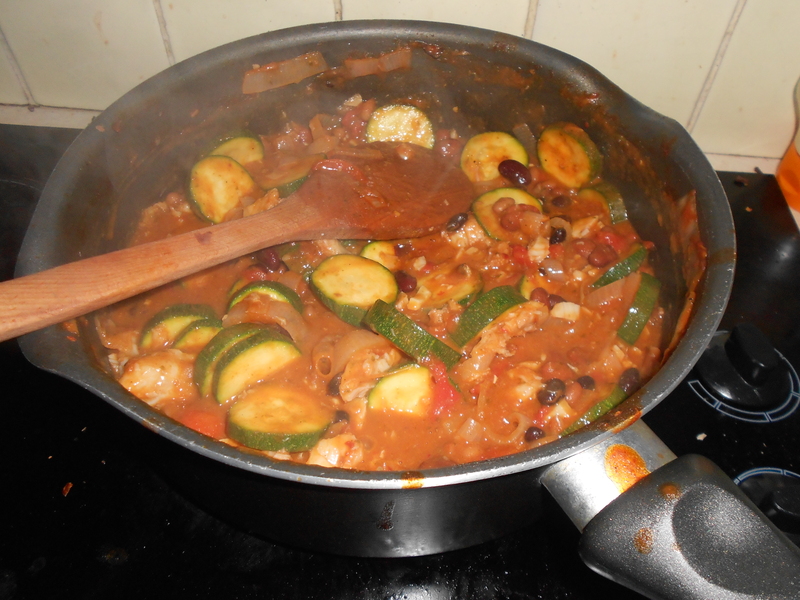 If you’re looking for something hearty but very healthy, I recommend this recipe to you. It was pretty filling but I wasn’t left feeling heavy in the stomach. Plus, it made space in my freezer. Win win. I need to give this a bash! I saw something like this recently served with gnocchi! That looks amazing! I am definitely going to have a go at making this in the near future. I shall let you know how I get on.